Thanks to advances in AI, companies of all sizes can transform their wireless networking with WiFi that is predictable, reliable and measurable. Artificial intelligence is all the rage these days. There’s broad consensus that AI is the next game-changing technology, poised to impact virtually every aspect of our lives in the coming years, from transportation to medical care to financial services. Gartner predicts that by 2020, AI will be pervasive in almost every new software product and service and the technology will be a top five investment priority for more than 30 percent of CIOs. An area where AI is already showing enormous value is wireless networking. The use of machine learning can transform WLANs into neural networks that simplify operations, expedite troubleshooting and provide unprecedented visibility into the user experience. But we are only on the cusp of AI’s true potential in wireless networking. Right around the corner is a true virtual wireless assistant that can proactively identify and fix problems and quickly and reliably predict future events. AI has been studied in research labs and universities for many years, but only recently has the technology found its place in practical applications, due to advancements in compute power, big data and open source technologies. There’s good reason for CIOs to embrace AI in their wireless strategy. Wireless networking is at an inflection point whereby the traditional way of deploying, operating and managing WiFi networks will no longer suffice. Three fundamental market transitions occurring in wireless networking are making AI indispensable. First, WiFi is increasingly becoming the primary internet access technology. It is more business-critical than ever and therefore has to be more predictable, reliable and measurable. At the same time, it is harder than ever to troubleshoot wireless given the myriad mobile device types, applications and operating systems, coupled with the sheer quantity of mobile users and wireless-enabled IoT devices. This transition requires better visibility into the mobile user’s end-to-end experience, and it creates a need for new automated management tools that replace manual, mundane tasks with automation, proactive insight and programmability. Second, mobile users are becoming accustomed to personalized wireless services on their mobile devices that leverage contextual information such as location. And companies see location as a key way to bring value to business operations through better customer/employee/guest engagement and new insight into mobile user behavior. Third, enterprises are moving IT support for sales, HR, and finance to managed cloud services to get better efficiency and to allow internal IT skills to be better aligned with the core business. Even security, storage, and other key infrastructure elements are rapidly being transitioned to the cloud. Wireless networks, however, have been slower to adopt this transition, with more than 90 percent of the WLAN market still delivered via on-premises controllers. Moving wireless to the cloud gives CIOs a more scalable and resilient infrastructure with better operational simplicity, and it provides actionable insight from the petabytes of data flowing through wireless networks. Without the right wireless AI strategy, IT simply cannot keep up with today’s stringent wireless user requirements. Here are six technology elements that this strategy should include. Just as all great wines start with great grapes, any meaningful AI solution begins with massive amounts of quality data. AI continually builds its intelligence over time through data collection and analysis, so the more diverse data that is collected, the smarter it gets. Thus, it’s crucial to be able to collect data in the Wi-Fi/BLE domain from every device in real time, then send the information to the cloud where AI algorithms can analyze it instantly. 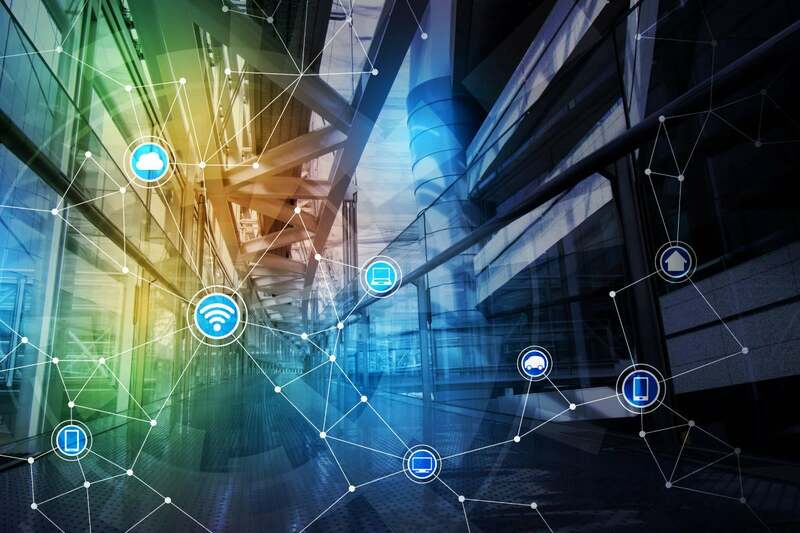 Enterprises that are embracing BLE and mobile apps in their wireless strategy are also bringing data from the mobile device to deliver on high-accuracy location services to enable contextual services. They need to be able to aggregate global metadata across customers. That means not only collecting data for insight into specific client behavior and location information but gaining insights and analytics across device types, operating systems, applications and more. This is key for baselining and monitoring trends, and identifying macro issues early so they can be addressed proactively. Whether trying to build a system that can play Jeopardy, help a doctor diagnose cancer or enable an IT administrator to diagnose wireless problems, AI solutions need labeled data based on domain-specific knowledge to break the problem down into small segments that can be used to train the AI models. This can be achieved using design intent metrics, which are structured data categories for classifying and monitoring the wireless user experience. Now that the problem is divided into domain-specific chunks of metadata, this metadata is ready to be fed into the powerful world of machine learning and big data. Various techniques, such as supervised / unsupervised machine learning and neural networks, should be employed to analyze data and provide actionable insight. By detecting unusual network activity at every level of the network, an AI-enabled platform can accurately detect existing and day-zero threats. In addition, location technology can be used to accurately locate accidental or malicious rogue devices and provide location-based access to resources. Most people experience collaborative filtering when they pick a movie on Netflix or buy something from Amazon and receive recommendations for other similar movies or items. Beyond recommendations, collaborative filtering is also used to sort through large sets of data and put a face on an AI solution. In wireless networking, this methodology can be used to turn all the data collection and analysis into meaningful insight or action. It is akin to a virtual wireless expert that helps solve complex problems. Imagine a virtual wireless assistant that combines quality data, domain expertise and syntax (metrics, classifiers, root causes, correlations, and ranking) to provide predictive recommendations on how to avoid problems and actionable insights on how to remediate existing issues. One that can learn wireless network nuances, and be able to respond to questions like “what went wrong?” and “why did that happen?” AI is making this a reality. Thanks to advances in AI, companies of all sizes can transform their wireless networking with WiFi that is predictable, reliable and measurable, wireless operations that are simple and cost-effective, and location services that deliver amazing new wireless experiences. Sudheer Matta brings more than 15 years of wireless and networking industry experience to his role as vice president of Product Management at Mist Systems, where he successfully leads product strategy for the company, which has built the first wireless platform for the smart device era.